Monday public holidays always throw my week into colourful chaos. 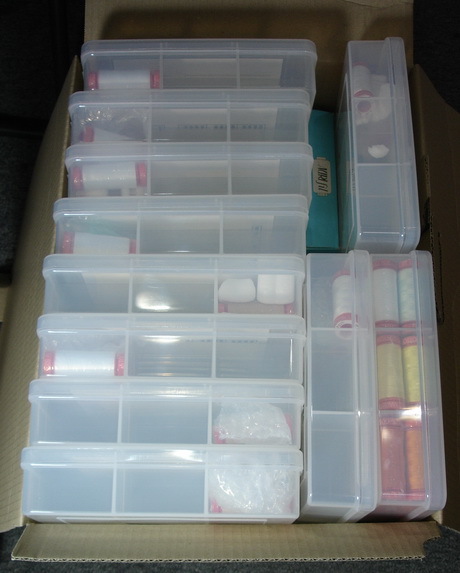 Not that I don’t enjoy a day at home, or out at an exhibition, free from work but …. 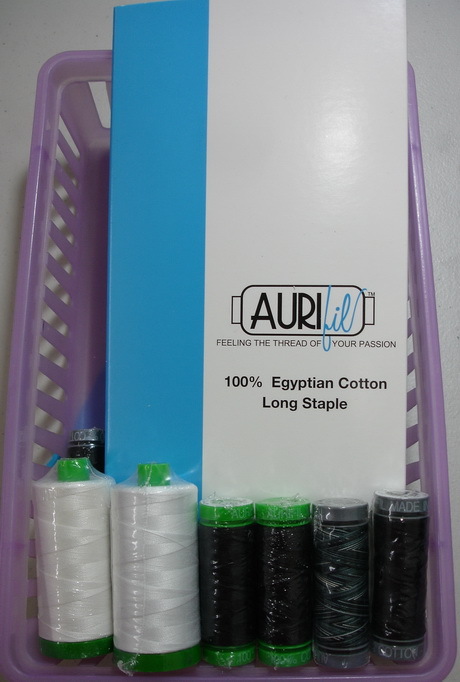 it does mean that the Aurifil orders from the weekend, that we would normally have picked and posted on a Monday, are still waiting for us on a Tuesday. 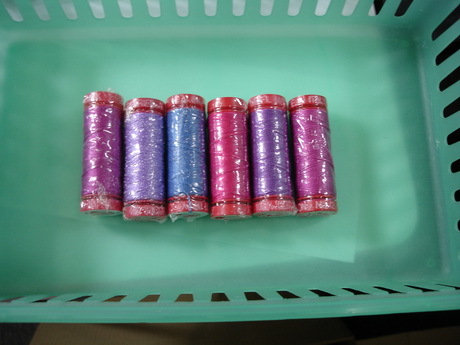 Don’t you just wonder how these gorgeous Cotton Mako’ 12 weight pinks and purples will be used. 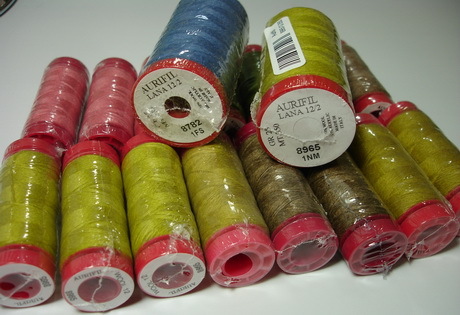 What about these Lana wool colours? 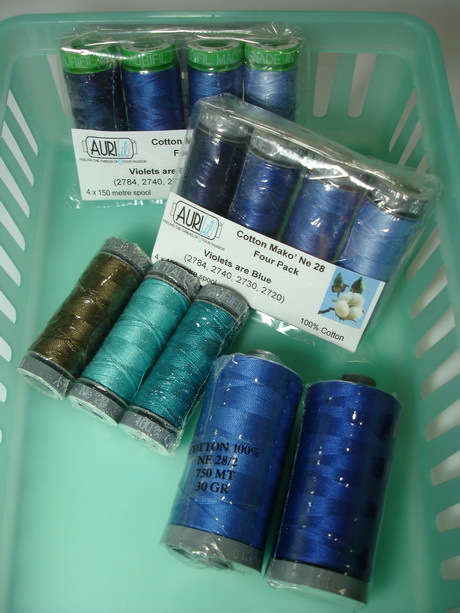 or this collection of small Cotton Mako’ 50 spools? 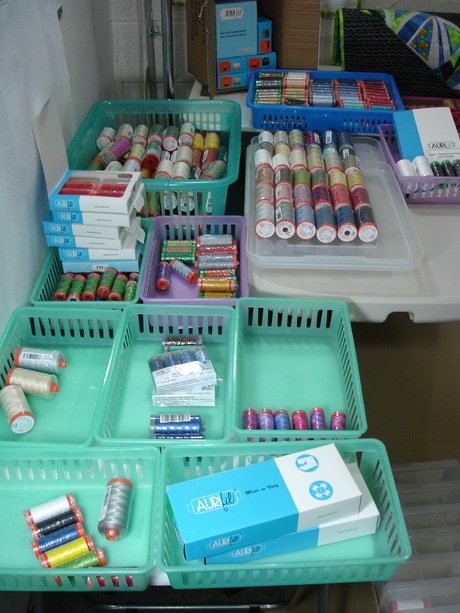 Not all the orders go out to consumers. 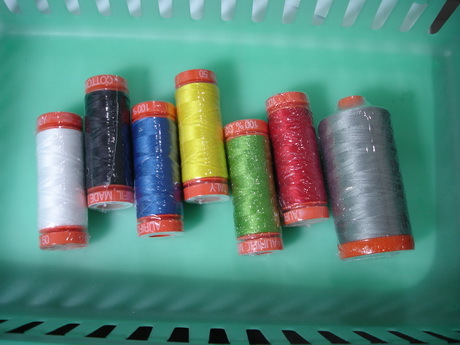 The lucky customers at this Patchwork shop are about to start receiving an Aurifil thread club. 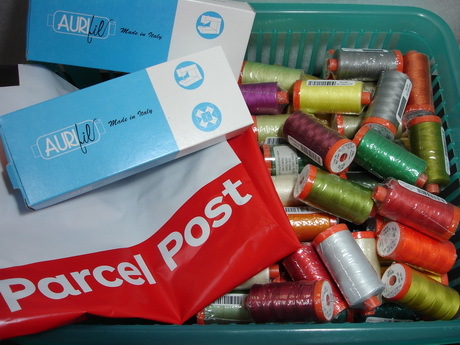 and once we box and pack this order for posting, it will make a great starter selection to introduce customers at a patchwork shop to the joy of working with Aurifil thread. As often happens after a day of picking & packing orders for our online store, I went home with a head spinning with colour. Wow, thank you for the great comments Isabella. 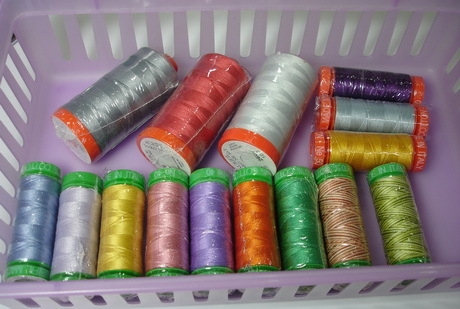 We love to have feedback from people who are using the threads.